‘Make the music sound robust now and again’ was Thurston Dart’s advice to Michael Morrow and his ensemble Musica Reservata just before their 1960 debut concert. Little did Dart know just quite how literally these young musicians would take him at his word. 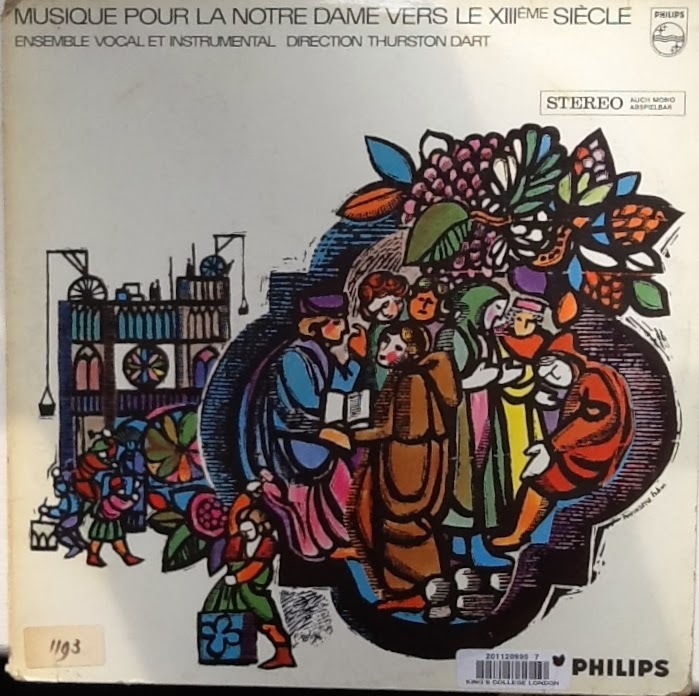 Public and critics alike were shocked and delighted in equal measures as Morrow brought influences as diverse as Yugoslavian voices and Genoese fishermen to bear on some of our oldest motets, including those from the famous Montpellier Codex. Morrow’s approach was a ‘major shot in the arm for everybody present’ and spawned many imitators but few ensembles before or since have ever come close to achieving that same vivid sound world. As Emma Dillon explains, the attraction of On parole/A paris/FRESE NOUVELE is that it ‘offers us a rare instance where the city itself is the topic of the motet’. Through this urban prism we (re)construct a vision of medieval Paris which makes sense in the modern world and each performance reveals a new facet of our historical fantasies. For Michael Morrow, On parole/A paris/FRES NOUVELE required an almost military approach to rhythmic drive resulting in a highly organised market-traders’ cacophony, whereas in Dart’s own conception a street scene unfolded across the newly available stereophonic soundscape of late 60s LP technology with what Daniel Leech-Wilkinson called ‘self-consciously virile’ tenors calling out across the city streets. This paper explores four very different interpretations of this evocative motet and probes the musicological climate behind each one. With reference to the influential work of Yvonne Rokseth, it asks how much these performances say about the changing twentieth century sense of medieval and what they suggest about the changing musicological approaches to the famous Montpellier Codex itself.